Jan 14 The website has been archived at https://3d.bk.tudelft.nl/events/3dgeoinfo2018/. Oct 11 All the presentations that we were allowed to publish and could convert to PDF are available here. Oct 10 If you have not done so already, please let us know if you do not want your slides to be published. Oct 04 The photos from the pre-conference workshop and the conference are now online. Thanks to Ravi Peters for taking them! We will have the presentations online next week, or sooner if the presenters let us know before then. Oct 02 Thank you for attending the conference! We will soon post a variety of photos from the event and will be asking the presenters for permission to upload their presentations to our website. See you in Singapore! Sep 30 If you're already in Delft, you can take advantage of the quiet Sunday at the registration desk in the lobby of the Aula Congress Centre to register until 18:00. If you haven't registered yet, you can still register on the spot and pay with a credit or debit card. Sep 26 We are excited to be hosting you in Delft! If you are presenting at the conference, please make sure that your slides are uploaded one day before your presentation. If you want to use your own laptop instead, please let us know. Sep 19 The pre-conference workshop is again full. Thank you for your interest! Please be aware that catering has been ordered, so from this point onwards we can no longer issue refunds. Sep 14 The 3D GeoInfo papers are online and have been published as ISPRS Annals Volume IV-4/W6 and ISPRS Archives Volume XLII-4/W10. Sep 12 Two persons have had to cancel their participation in the pre-conference workshop, so we have two more places available! Sep 07 The pre-conference workshop is now full. Thank you for your interest! Sep 06 The 3D GeoInfo presentations will be in the Senaatzaal inside the Aula Congress Centre. More details on the venue are online. Aug 09 The detailed timetables for the conference and the pre-conference workshop are available. Aug 03 We will very soon send the papers to the publisher, and so we have closed updates through Easychair. The final paper authors and titles are online. There will be 14 stand-alone presentations in addition to the 45 from papers. Jul 24 In order to accommodate the large number of presentations, we will be extending the morning session on Tuesday and the afternoon sessions on both days. Jul 23 We received 12 papers for ISPRS Annals and 33 papers for ISPRS Archives (9 full papers plus 24 extended abstracts). We have also accepted 12 presentations so far. Jun 27 We will be running a pre-conference workshop on Sunday, September 30th at TU Delft prior to the 3D GeoInfo conference, with the topic "Automated reconstruction of 3D city models and using them in urban applications". Jun 15 We have notified authors about the acceptance of their papers today. Out of 26 full paper submissions, 12 have been accepted into the ISPRS Annals, 12 have been accepted into the ISPRS Archives and 2 have been rejected. Out of the 40 abstract submissions, 31 have been accepted for a full paper extension in ISPRS Archives and 9 have been rejected. As of today, we have also received 6 proposed presentations. Jun 03 And we have received 43 abstract submissions! We are currently busy with reviews and we'll let you know the results by June 15th. May 17 We have received 26 full paper submissions. Thank you for your participation! Remember, it is still possible to submit an abstract until the 31st of May. Apr 30 The registration form is available again. Apr 25 The registration is temporarily closed while some issues are resolved. It will be open again soon. Apr 20 It is now possible to register for the conference. Apr 12 The deadline to submit a full paper has been extended to May 15. Apr 06 The final registration info is online. The form will be available very soon. 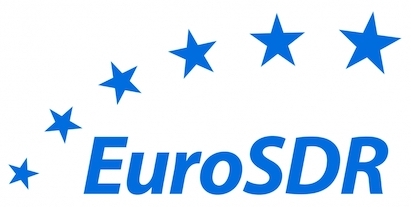 Mar 29 We are glad to be hosting a EuroSDR track at 3D GeoInfo. This track will include papers that are of particular interest to National Mapping and Cadastral Agencies. Mar 23 You can now follow us on Twitter. Mar 21 The new website of the 3D GeoInfo conference is online.